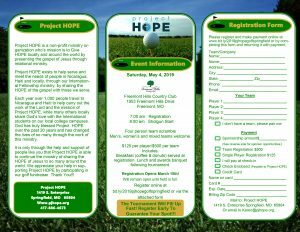 Project HOPE Golf Classic – Springfield – Project H.O.P.E. There are still sponsorship opportunities available. 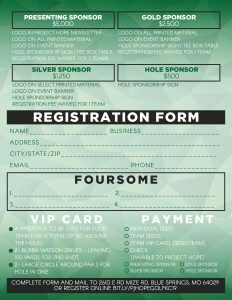 Begin now to get your team together and register today! 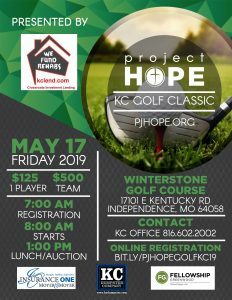 Call the Project HOPE Springfield Office at 417-886-4673 for more information.